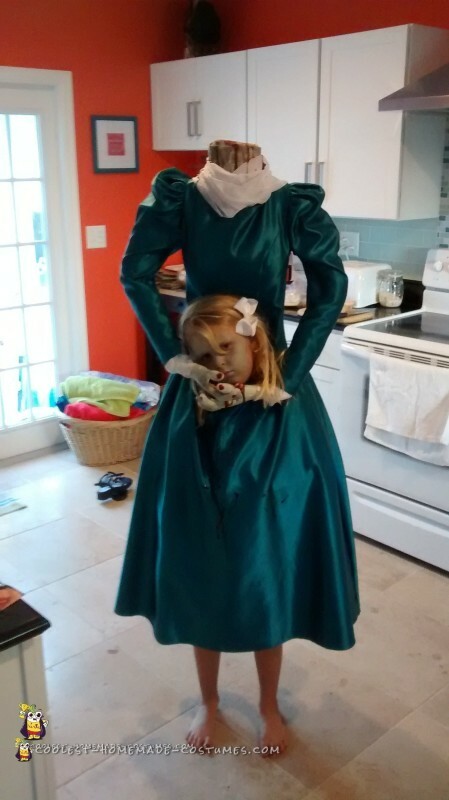 This creepy headless homemade costume for a girl was made for my sever year old daughter, Josie. 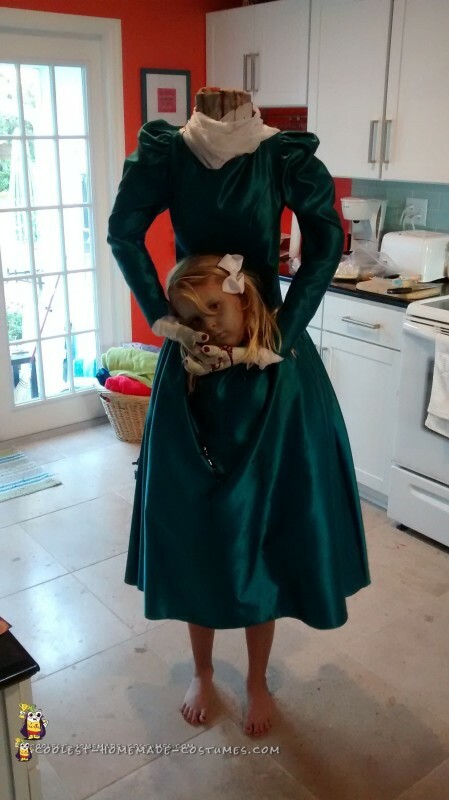 We found this awesome green dress at a thrift store, and really built the costume from that piece. I think people put too much thought into the technicalities, and not the subtle details – I think they are just as important. We built the false upper body with PVC pipe that was assembled as a “T”, and the joints were then heated with a torch to make the bends. We wrapped all that with foam pool noodles and tape. The body’s stuffed with plastic grocery bags. We then fastened the PVC pipes to a backpack, fit the upper body (with the dress on) over Josie, and strapped the backpack on. 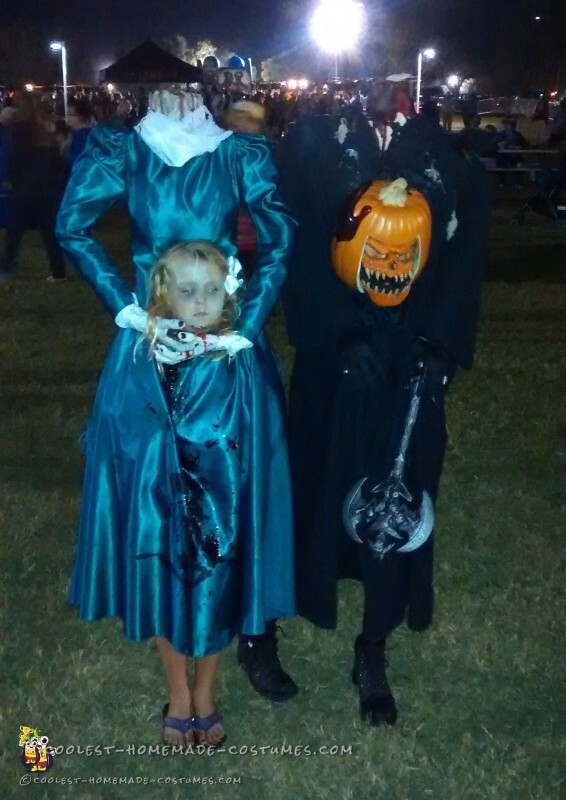 We had to walk to the Halloween event we were attending (a few blocks away) because Josie would not fit in the car. 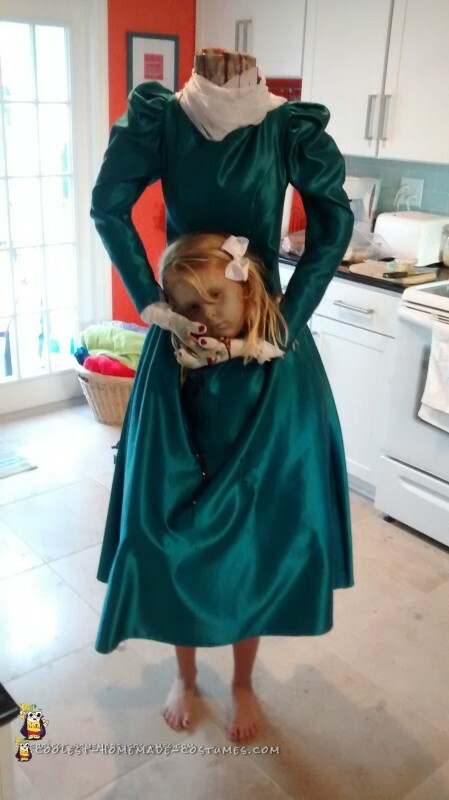 We freaked a lot of people out on our walk with the creepy headless homemade costume. Homemade costume idea posted by Flint H.